Sounds interesting! I, too, like to use the same theme across multiple proficiency levels. It makes my life so much easier! I’m wondering if you plan on addressing Toussaint with them afterward? Yes, I’d like to do something. I have a few videos pinned, do you have any resource suggestions? I’ll try to post a link, but if it doesn’t work, go to youtube and search for “Martinique “La Toussaint a Fort-de-France” Midi en France” and that should bring you to it. Shows people singing in a church, then a procession to a cemetery, people talking about what they do and why. You can use the “Closed Captions” but I seem to recall a few errors in them. You may have to copy and paste into your web browser. Hope it works and that you can use it! Your ideas and your work have absolutely saved my teaching career. Thank you for sharing, I have been using the stations and it has breathed new life into my classes. All of the research you did, the sites you find, the questions you create… I was hanging on by a string and you have been so helpful. I’m so glad you’re finding some things you can use here, Shauna! Love this! I plan to incorporate the vocab and the prepositions for my grade 4 class. 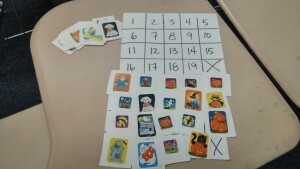 We plan to do the little grid game and they are very excited! Of course you have my permission, and thanks for asking! Another wonderful unit! Are you using the learning stations for the final assessments or did you decide to forgo a summative assessment since this is more of a “fun” unit? I’m just wondering. You did say that you have some questions on Canvas but I wasn’t sure if they are meant to be formative or summative. I’m looking to do this unit with my 1s as we get closer to Halloween. I’ve never done a unit like this and this is a lot of fun. Thanks, Isabelle. Yep, I’m just giving formative grades with this. I have 2 summative assessments/IPA’s for the quarter already, which is consistent with my syllabus. I didn’t really see a need to add another one. Like you said, though, I think the stations could be used for a summative, if someone wanted to. 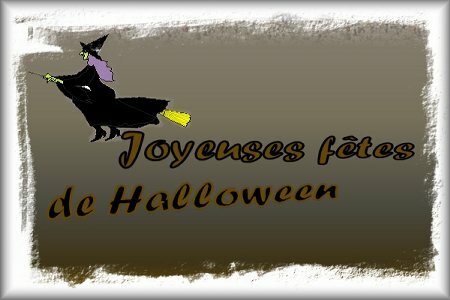 Curious of where the article on Halloween you have for French 2 came from. And thank you. I must have gotten some of my Halloween stuff from you last year because I recognize the vocab images. Yeah, I posted just a few things last year. I didn’t own a scanner yet, so I could only post the Word documents that didn’t go with readings. If you mean the Halloween article for French 3, it’s from a Julie magazine.I bought several years ago. Merci beaucoup, encore! I started looking up images to make a Kahoot game, but when I searched for “feu follet,” all I got were images for “will o’ the wisp,” not jack o’lanterns. Is this maybe a Quebecois term? Merci. What a great question. I’ve always used feu follet, but your comment prompted me to do some research and I can’t find feu follet used in any authentic contexts–I’m not sure where I got it in the first place, but I’ll do some more research when I get a chance. It looks like most native speakers use citrouille–I’ll change my vocabulary sheet in the future. Thanks so much for the information! Lisa, I was going to post about this or email you directly, because I also got “will-o-the-wisp” (from wordreference.com, I think) which I had to look up in English. (I’d heard it but couldn’t remember/didn’t know what it was.) I got stuff about “marsh light”, “spontaneous combustion of gas” (methane, maybe?) and that will-o-the-wisps have been mentioned in folklore of various countries. Oddly enough, they did occaisonally use the word jack-o-lantern, but it does not seem like what we know as a jack-o-lantern. So I had my students add “un potiron lumineux”, which we found in Amsco’s “The New College French and English Dictionary”, 1972 edition (yep, that is what is in the classroom, plus another French-English dictionary that is not as good as the Amsco). http://www.zazzle.fr/le_feu_follet_orange_de_citrouille_de_halloween_assiettesenpapiershindigz-256941753892703777. One is for a recipe and the other for a decorative item, so the term seems to exist but certainly isn’t used very often. I’ll definitely avoid it in the future and would love to hear back from any readers who’d like to chime in! I just added the missing page. Please let me know if you find any more errors! You mention in the Level 3 plans that for the listening station the students watch a series of Halloween-themed videos. Do you have a particular list of ones you use or do you let the students find some? Please le me know how you play bingo, the picture cards are all the same. I’m a little confused. Thank you for an other extraordinary project. I am doing a long-term sub position (after retirement) & at the request of the teacher, am about to begin your Halloween unit in levels 1,2 & 3. I’m writing you because I think I’ve found all the different pieces of the puzzle, so to speak, except for your digital copy of a French 2 Speaking Station–Activity #1, Partners A & B. It looks to me in the materials she left me that these were the colored vocabulary pics she cut up to use in the “sticker” activities—-most of them are different from the vocabulary pics and matching activities of French 1. If you could send me the link, I would be able to make color copies of these for sticker activities & I think I’ll have all the materials run off and prepared. Merci beaucoup!! Hi. I wish I could help but I used actual stickers for the sticker actuvity, so I don’t have a digital file. I FINALLY found the file I was looking for–don’t know how I missed it. Sorry to bother you. LOVE your lessons!! This should be a fun wee for both students and prof.
Lisa, thank you so much! I used your Halloween bingo & Go fish, slideshow, and C’est le même ou c’est différent with my French 1s today and it really helped them hammer home avoir in the present and il y a! (Also, they felt they were getting a bit of a treat.) I also showed “C’est ça Halloween” from the Nightmare before Christmas and this document from Real Language Right Away ( http://www.reallanguagerightaway.com/free-halloween-activities-in-french-spanish-and-mandarin ) Bonne fête d’Halloween! For those looking for images to use for the sticker activity, here’s a Doc that I created instead of tracking down stickers. There are 25, so not all will be used in the activity. Just print in color, laminate, and cut out. I like the bat article for French 3, were there some comprehension questions for it? Sorry if I missed them. Thank you! I just double checked and the bat questions are in the station packet. Merci! I did also just find a hard copy from last year, grace a Dieu!